If you’re looking for a simple way to cut down on your energy bills and save yourself some money, then you should probably think about making your home more energy efficient. If you can figure out where you’re losing the most money, then you can work towards fixing the larger issues. However, there are some rather simple ways to start saving on energy costs, and we’ve listed some of them below. 1. Lower The Thermostat – When you’re out of the house, drop the temperature that you keep your house. You shouldn’t be worrying about heating a house that you’re not in for most of the day. If you drop the temperature by just ten degrees during the workday, you can save up to 15% every year. 2. Low-Flow Showerheads – Your water efficiency will definitely improve if you replace your showerheads with low-flow ones. Most showerheads use around five gallons per minute, while these use about half of that. You’ll not only save on your water bills, but help the planet as well. 3. Seal Your Windows – A lot of air leaks through windows. Drafty windows cause you to lose your heating and/or cooling. You can remedy this lost energy by adding weather-stripping around the frames, caulking any cracks, or applying a sheet of shrink film to your windows. It’s inexpensive and will save you money on your energy bills. 4. Use Halogen or Fluorescent Lights – Incandescent bulbs aren’t really being produced any more, but that’s okay because halogen and fluorescent bulbs last longer and are more energy-efficient anyway. Go ahead and replace those old bulbs; it may seem more expensive in the beginning, but it’s a good way to save some money in the end. 5. Wash with Cold Water – 90% of the energy used by your washing machine is actually used to heat the water. If you avoid running your washer with hot or warm water, then you can save a significant amount of money. Your clothing will get just as clean, so no worries there. 6. Insulate Your Attic – Insulating your attic will keep your heating and cooling from escaping through the roof of your house. This is a bit of a big-ticket item, and may be a little costly up front, but it will save you a ton of money on your energy bills, as well as make your home’s temperature much more consistent and comfortable. 7. Check Your Ductwork – Your air ducts can possibly be leaking air, be dirty and clogged, or have some other issues that make it so your HVAC system isn’t running efficiently. Check your ducts thoroughly, have them cleaned and repaired, and you’ll be less likely to have money being wasted on air that doesn’t circulate. Proper ductwork lets your energy costs lower and also lengthens the life of your HVAC system. 8. Buy Energy Efficient Appliances – Replacing appliances isn’t a spur-of-the-moment thing to do, as its rather costly in and of itself. However, when you do need to replace an appliance, consider getting one with a higher energy efficiency. Refrigerators are notorious for being costly to run (as mentioned above, they tend to account for almost 10% of your energy bills) so having a more efficient one is definitely worth it. Washing machines that use less water not only help with your bills but with saving the planet. Most appliances showcase their efficiency, so it’s not difficult to compare them when you’re looking for a replacement. Doing any, or all, of these items will allow you to start making a difference to your energy bills. You can always have an inspector come out to check your systems and let you know the best ways to make your home more energy efficient as well. 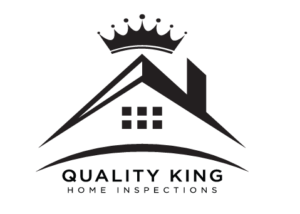 Any home you’re considering to purchase should be inspected as well, to know if there are any energy problems that you’ll need to consider. If you have any questions regarding energy efficiency, or want to have an inspection of your home or one you’re considering buying in the Patchogue, NY area, then feel free to contact us. We’d love to help you out. Long Island, New York & surrounding areas including: Patchogue, Bayport, Sayville, Bellport, Brookhaven, Medford, Holbrook, Bohemia, Blue Point, & Holtsville.